Montana is one of the largest states in the US, but also one of the least densely populated, which makes it a great place to visit for those who cherish solitude. 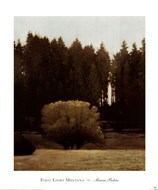 Well before you book a plane ticket to this destination ChefDecor.com can provide you with some great Montana prints. They will help you get an accurate picture of this state and what makes it special, with the emphasis being placed on the natural beauty. ChefDecor.com has more than a couple of panoramic Montana photographs, capturing the beauty of the land during different times of the day. The seemingly endless fields are impressive, but they are only an illusion because the landscape is dominated by towering mountains. Depending on angle, Montana posters can create a different image about how the state looks, so those who set up an entire collection will not have to worry about diversity. The vegetation is unique and in summer the entire state is beaming with energy, while snow takes over and covers the land from November to March. The wildlife is also celebrated in Montana prints, with the moose and wolves being central characters in most of these artworks. Without being a populous state, Montana has a couple of great looking cities and not surprisingly, the photographers dedicated their time and energy to capture them on tape. Among the Montana posters up for sale here, there are some featuring historic government buildings that were constructed centuries ago and are still standing.